Welcome! 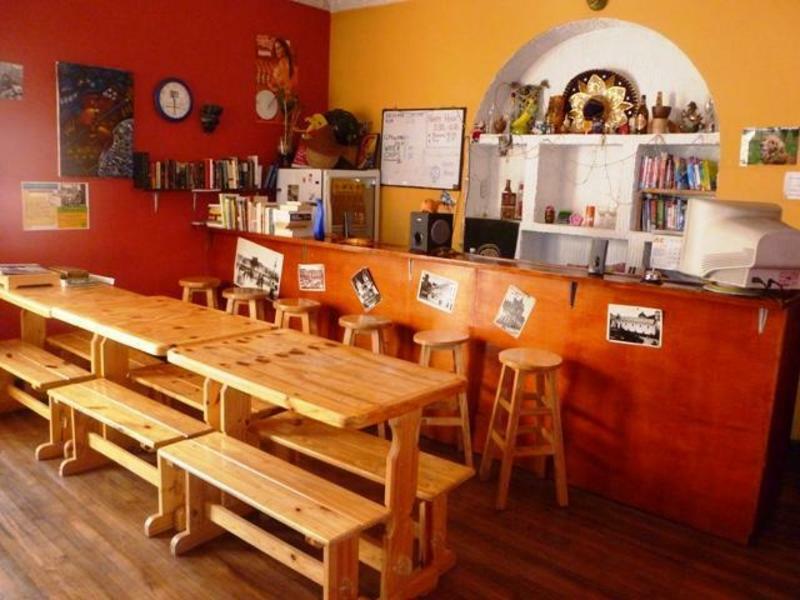 Bienvenidos to Hostel Revolution - a friendly, small, chilled Backpacker hostel in the historical part of Quito. Created by Backpackers for Backpackers, who would prefer to stay in the Old Centre of Quito. Hotel Revolution is a small capacity (24 people) chilled out hostel in the historical part of Quito. HR is in a colonial type house with wooden floors & decorative plaster ceilings. We have a rooftop terrace with great views, ample clean & modern bathrooms and common area/bar to hang out and have a few beers with other guests. HR is owner operated by Matt and Maria, an Australian/Ecuadorian couple. We provide a comfortable base to visit Quitos best asset - its beautiful Historical Center - and all the main attractions are within 30 minutes walk!. Our location near Alameda park also gives us easy access to the 3 main bus lines, trolley, ecovia and metro. We have a higher ratio of bathrooms to guests than most other hostels due to our smaller overall capacity. We have several common areas: a TV lounge with 100s of DVDs, Rooftop terrace with tables, foosball, bbq and a great view, a bar/common room with book exchange to have a few beers including daily happy hour. We also provide a clean, fully equipped kitchen; customised map and information, free internet & Wi-Fi throughout the house, and a non-smoking indoor environment. Earliest check-in is normally 8.30am and latest is 11.30pm only as we do not have 24 hr reception (we do make exceptions for late arrivals for more than 1 night stay but this needs to confirmed BEFORE booking so we can organise someone to wait for you) only late check-ins confirmed by us are admitted. We are on the corner of Los Rios and Julio Castro. Look for the sign 'Revolution Backpackers' . HR is also on both sides of the balcony. There are now (from July 2009) TWO main bus terminals in Quito, one in the North (Carcelen) and one in the South (Quitumbe) Quitumbe is just under an hour in the trolley bus to the Alameda stop near the Hostel. You need to take the trolley to El Recreo, and then change bus to get to Alameda. From the Carcelen station, take a bus to La Y trolley stop and then take the trolley to Alameda stop.